I blame the concept of law as a business, which became popular at that time, and which displaced the notion of law as a learned profession. As a result of my experiences, I don't have much interest in legal mysteries. It's sort of like that old saw about how you'll never eat sausage again once you've seen how they're made. But there is one exception to my aversion toward legal mysteries: I'm a sucker for British mysteries about lawyers practicing in the good old days. Why? Let me count the ways. Trials are over in nothing flat. This makes life a lot easier for lawyers. I do see, though, that it's not necessarily such a bonus for the parties in interest, especially defendants. Take Dorothy L. Sayers's Strong Poison, for example. Harriet Vane is on trial for killing her lover, Philip Boyes, and it looks like she is only days away from a date with the hangman. Fortunately, Lord Peter Wimsey's sometime agent, Miss Climpson, is on the jury and she holds out against the other jurors' guilty verdict. The hung jury gives Lord Peter the time to find the real culprit and save Harriet's neck. A defendant lucky enough to be a member of the House of Lords could escape the potential pitfalls of the British criminal court system by demanding a trial by his peers; which, in that case, meant Peers of the Realm. 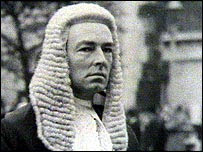 The law was changed in 1948, but when Lord Peter's brother, the Duke of Denver, was accused of murder in Clouds of Witness, the law was still in force. 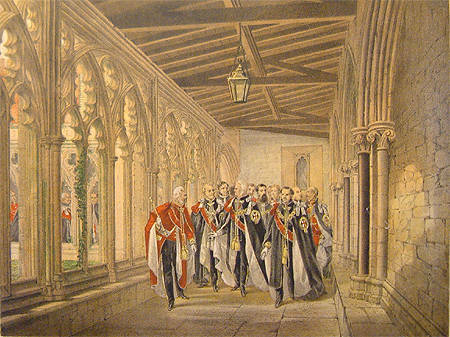 The trial in the House is quite a scene, with 300 members of the House of Lords entering the chamber two by two, wearing robes with ermine rows on their shoulders. Instead of a drab bailiff droning out the particulars of the charge, the Sergeant-At-Arms and the Clerk of the Crown in Chancery hand around a Commission and a Staff of Office and then read the Certiorari and Return, including a "long, sonorous rigmarole" that ends in the reading of the charge of murder against "the most noble and puissant prince Gerald Christian Wimsey, Viscount St. George, Duke of Denver, a Peer of the United Kingdom of Great Britain and Ireland." Whew! After all that, the trial is almost an anticlimax. But when Sir Impey Biggs (one of the great character names) gives his final speech for the defense, he not only asks for a finding of Not Guilty, but notes that with it will come the restoration to the Duke of the "traditional symbols of his exalted rank." I suppose that means that he gets back his nobility and his puissance, whatever that means. 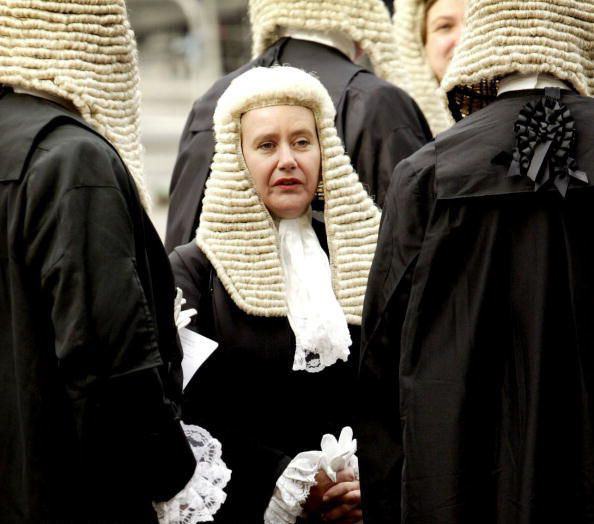 British barristers and judges wear nifty wigs and robes. Having a bad hair day? Not a problem if you're a barrister or judge. Just pop on your wig and nobody will ever know. And those robes will hide gravy stains, missing buttons and any number of other crimes against fashion. Of course, some lawyers are less likely to need the camouflage than others. Frances Fyfield created the character of Helen West who, like herself, has a career as a lawyer for the Metropolitan Police and, later, for the Crown Prosecution Service. Although Helen deals with some very gritty crimes and many deeply dubious individuals, she is no fashion criminal. Some of Fyfield's award-winning Helen West novels include A Question of Guilt, Not That Kind of Place and Deep Sleep. British court rules allow judges to question witnesses and to comment on the evidence to the jury. MR. TEWKESBURY: Now, officer, I want you to follow this next question very closely. CONSTABLE: I try to follow all your questions closely. TEWKESBURY: And to what measure of success? MAGISTRATE: You needn't answer that question. TEWKESBURY: But, sir, with the greatest possible respect, am I not entitled to an answer? TEWKESBURY: But, sir, unless I know the measure of success which the officer has in following my questions, it becomes more difficult for me to frame the next question. MAGISTRATE: So far you seem to have overcome your difficulties most manfully. I have observed no lack of questions. TEWKESBURY: Your Worship's courtesy overwhelms me. MAGISTRATE (to himself): I wish it would. TEWKESBURY: Is it now convenient, sir, that I should resume my cross-examination where I left off? TEWKESBURY: Well then, officer, would you be kind enough to tell me the measure of success with which you have understood my previous questions? MAGISTRATE: I've just said he needn't answer that question. TEWKESBURY: But, sir, did I not understand you to change your mind and say that I may ask it? If I may say so, the greatest judges change their minds. Judex mutabilis, judex amabilis, if I may say so. MAGISTRATE: Mr. Tewkesbury, would you kindly continue your cross-examination of this witness? I've fifty summonses to hear after this. TEWKESBURY: I don't know how your Worship does it and retains your good humour. MAGISTRATE (quietly, to his clerk): I've about had enough of this. Is he sober? Georgette is a devotée of Henry Cecil's books and, doubtless, could contribute many more stories about judges and lawyers in Cecil's world. 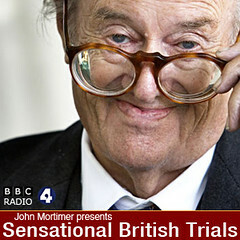 John Mortimer's Horace Rumpole is of the view that judges seem to live only to undermine him by interrupting his witness examination in order to inject their own probing questions and by casting aspersions on his arguments when they give instructions to the jury. 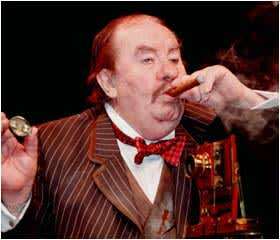 It's clearly a wonderful power for the judge, but not so much for its target, Rumpole. In the story "Rumpole on Trial," Rumpole complains that one of his regular nemeses, Judge "Ollie" Oliphant, sighs and rolls his eyes when Rumpole sums up the case for the defense and responds to Rumpole's arguments by telling the jury: "Of course, you can believe that if you like, Members of the Jury, but use your common sense, why don't you?" British coroners have a power similar to judges to guide the outcome of cases. In Colin Watson's Flaxborough novels, longtime Coroner Albert Amblesby conducts inquests with an iron fist and a lot of sardonic comment. You get the impression that nothing ever happens in an inquest that isn't orchestrated by Amblesby. If you haven't read any Flaxborough novels, give Lonelyheart 4122 a try first. I think it's the funniest, and it features one of the great side characters in crime fiction, the deceptively genteel-appearing con-woman Miss Lucilla Edith Cavell Teatime. Legal research was a piece of cake. Statutes, regulations, administrative rulings, case precedents and all manner of legal authorities can take forever to slog through. The amount of material increases at a dizzying pace. But in Delano Ames's She Shall Have Murder, published in 1948 (see a full review at the end of this post), it was a much simpler matter. Law clerk Jane Hamish goes into the office of solicitor and senior partner Mr. Playfair to ask him about a matter of company law. Playfair responds: "In answer to Sir John's inquiry, Miss Hamish, quote to him paragraph twelve of the Companies Act of 1929. You'll find it in the fifth volume on the left there on the top shelf, page 116." Just imagine having all the law you need, right there in your office and, apparently, memorizable. Speaking of cake, how about the snacks in the office? I don't want to sound like a whiner, but our idea of a snack at the office was some scorched coffee from the Bunn-O-Matic, a candy bar from the newsstand downstairs or, if you could spare a little more time, a dash out to the coffee shop for a cookie. 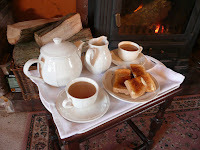 But in these old British mysteries, the lawyers seem to spend almost as much time taking breaks for tea, coffee and biscuits as they do working. 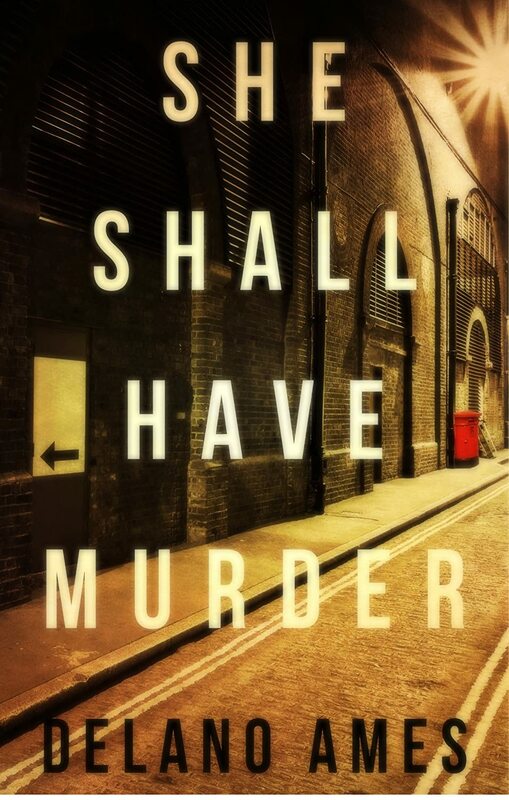 When I was reading She Shall Have Murder, it seemed like I was always hungry. It must have something to do with the fact that the staff spent so much time in the kitchen, boiling up hot water for tea, getting plates of buns and biscuits, opening tins of sardines and making sandwiches. Forget the snacks, how about the drinks? Even better than always having tea and biscuits in the office, the lawyers go out for long lunches, always seem to have a bottle of sherry (or something stronger) in their cupboards and, by 5:00 pm, you can usually find them propping up the bar at their favorite watering hole. In Sarah Caudwell's Hilary Tamar series, the lawyers at 62 New Square seem to think that being "called to the Bar" means the siren song of their local wine bar, the Corkscrew, where they crack open bottles of Nierstein as often as they crack open law books. Horace Rumpole, the most famous tippling barrister, can be found most evenings at Pommeroy's Wine Bar, a glass of what author John Mortimer calls Chateau Fleet Street or Chateau Thames Embankment in hand. I never thought about it before, but it does seem that in crime fiction, English lawyers drink wine, while police detectives seem to prefer beer and whisky. Is it a class thing or does it just go with the job? Maybe I should check and see what Elizabeth George's Thomas Lynley drinks. (I think wine, but I'm not sure.) Lynley is both a police detective and the 8th Earl of Asherton, so his choice of tipple might be something of an indicator whether the British character's drink of choice is based on class or profession. Or, maybe not, since Elizabeth George is an American. Reading these books could just about ruin the practice of law for anybody trying to do the job these days. Hmm. Maybe I'll forward some of these books to some of today's law-as-a-business types and show them how much more fun it was (and could be?) to practice law as a learned profession. There are few things I enjoy more than a good, old-fashioned British puzzle mystery. The kind with a limited number of suspects, and whose solution depends largely upon figuring out times and places, and picking up on small clues dropped in dialog. But the mystery also has to have an appealing sleuth. Delano Ames gives us all the elements of an excellent classic mystery, along with a bonus: two appealing sleuths. Jane Hamish is a law clerk at the small London firm of Playfair & Son. Her fiancé, Dagobert Brown, is currently unemployed. A regular client, the extremely paranoid Mrs. Robjohn, has been found dead in her apartment. The death is ruled accidental, the result of the gas jet in the gas heater going on in the middle of the night when gas service is restored after an outage. Dagobert, who visited Mrs. Robjohn earlier that evening with Jane, realizes that the death was actually a murder. With his plentiful spare time, he begins an investigation. Over drinks, tea and dinners, Jane and Dagobert compare notes about his sleuthing and what she has been able to find out in the office. They have quite a few suspects: Mrs. Robjohn's son, Douglas; his secret fiancée and Jane's office co-worker Sarah; Major Stewart, one of the law firm partners; Rosemary, another co-worker and someone who shares a secret with Major Stewart; Oates, the light-fingered office runner with apparent underworld connections; and old Mr. Playfair himself. Figuring out the culprit will take a lot of devious tricks by Dagobert, and some risky ploys by Jane. Delano Ames's writing is delightfully wry, and Dagobert and Jane are a lively, smart-talking pair. They're not unlike Nick and Nora Charles in some ways. Dagobert delights in tricking suspects and driving them a little crazy with his antics, while Jane often tries to puncture Dagobert's bumptiousness with a well-placed dart or two. But, unlike Nora, Jane is an active partner in the sleuthing; a supremely intelligent young woman who is up to the challenge of solving the crime. Note: A version of this review appears on Amazon, under my username there. I enjoyed this post, Sister Mary. I'm a legal mysteries fan. The drunken solicitor, Mr. Tewkesbury, you mention here, and an incomprehensible witness named Colonel Brain pop up in recurring roles in Henry Cecil's books. In addition to SETTLED OUT OF COURT, other great Cecil novels are NO BAIL FOR THE JUDGE; NATURAL CAUSES; ACCORDING TO THE EVIDENCE; a trilogy including BROTHERS IN LAW, FRIENDS AT COURT and SOBER AS A JUDGE; MUCH IN EVIDENCE; DAUGHTERS IN LAW; and INDEPENDENT WITNESS. The best and most comprehensive guide to legal mysteries is Jon L. Breen's NOVEL VERDICTS, which deservedly won an Edgar and is as much fun to read as the books it describes. Nikki, I agree that US judges have no fun compared to the Brits. No wonder they seem to grumpy. Kev, I've had Charlie Resnick recommended to me before, but never got to it. Didn't the sandwich talk make you hungry? Georgette, I knew I could count on you for the scoop on Cecil's books. This Colonel Brain sounds like a hoot. Very interesting post, Sister. 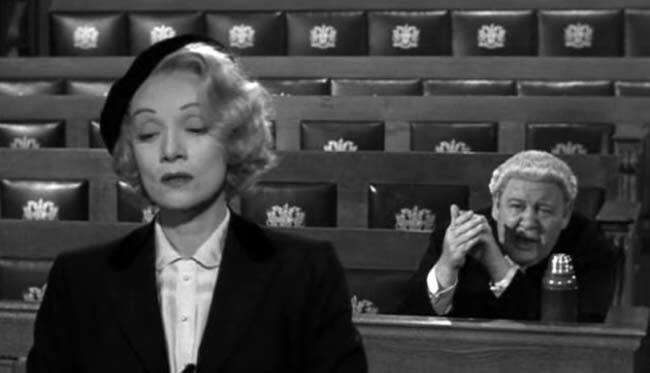 I never thought to analyze why British courtroom scenes are so much more amusing than our homegrown ones. My grandson was so enamored of Leo McKern as Rumpole that we literally wore out a set of tapes(!) in the car. I'l raise a glass of Old Peculiar to his Ponderousness tonight, and stay out of the way of She Who Must be Obeyed. I must look up Henry Cecil. Don't think I've ever read him. I am a big fan of Henry Cecil and I also discovered Rumpole of the Bailey by John Mortimer. I'm watching the TV series now from the DVD set, but I'm hoping to read the books as well. As an Indian lawyer, I'm much more at home with the British legal system than American, though I have to say things have changed so much in the legal profession. By the way, Mr. Tewkesbury was a solicitor, not a barrister, in Henry Cecil's novels. Hari, I'm delighted to meet another Henry Cecil fan. Thanks for pointing out my proofreading error. Mr. Tewkesbury is a solicitor rather than a barrister. I hope you do get a chance to read the Horace Rumpole books because they're a treat. A few other English legal mysteries I've enjoyed are Edgar Lustgarten's A CASE TO ANSWER and Edward Grierson's THE SECOND MAN and REPUTATION FOR A SONG. They're not comic in the way that John Mortimer's and Henry Cecil's books are, but they're beautifully written and interesting to a fan of courtroom dramas/legal mysteries. I'd love to hear your suggestions for others.